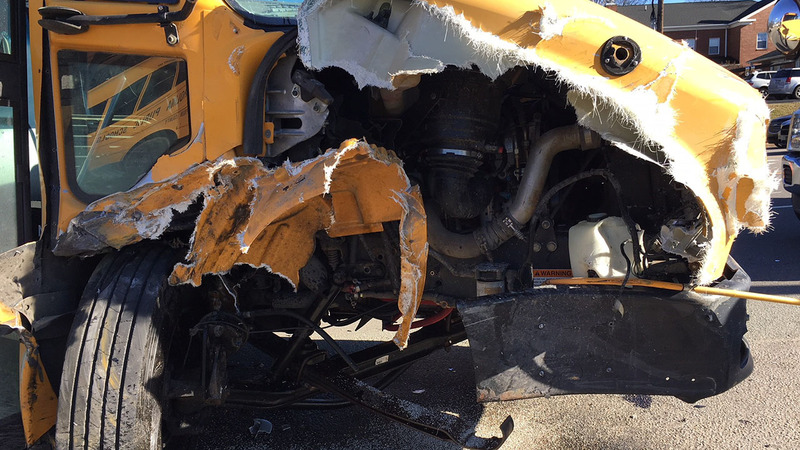 ROXBORO, NC (WTVD) -- Roxboro police are investigating a school bus crash just after 2:30 p.m. this afternoon on Madison Boulevard. Police said 53-year-old Donald Tingen made a left turn from Madison onto Oak Street when he hit a Person County school bus head on. Roxboro Police Chief David Hess said, "As a parent it is a scary phone call to hear the bus your child rides was involved in a crash. I commend school staff for calmly notifying parents their children were okay. We are relieved that none of the students nor the bus driver were injured." Tingen was taken to Person Memorial with minor injuries. Police said that they expect to charge Tingen with not having a license, left of center, failure to yield right of way, and unsafe movement.